This is an opposites attract type of situation. Jupiter and Mercury combine to give a signification to all responsibilities, money, strong emotions and to this intense relationship. Sagittarius cheers you up, stimulates your ambition, educates you and helps you focus on a certain goal. Sagittarius, astrologically speaking, influences aspects related to marriage, contracts, business, partnerships and public relations; this native is the one who gives the world a better image about you. You will find Sagittarius natives very attracted to you, Gemini. It's all or nothing in this case; once you started your relationship, it tends to be permanent. 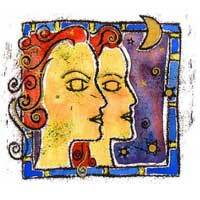 Gemini can make a lot of money in a partnership with a Sagittarius. He has authority and responsibility. 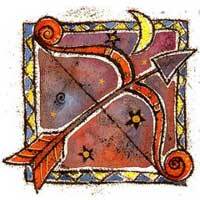 The Sagittarius is the philosopher, while the Gemini is active 24/7. An association with a Sagittarius is a serious thing; it can lead to a business partnership, to a serious relationship, or even to a marriage. Sagittarius will make you more optimistic, so that you'll see the road you have chosen to follow and, of course, the final destination.